Aéro Montréal, Québec's aerospace cluster, in collaboration with the Canadian Armed Forces, is holding a public event this Thursday, June 28, running from 1:00 pm to 9:00 pm to promote the aerospace industry in Quebec. The event, taking place at Grand Quai in the Port of Montréal, will include a free Snowbirds air show at 5:30 pm. 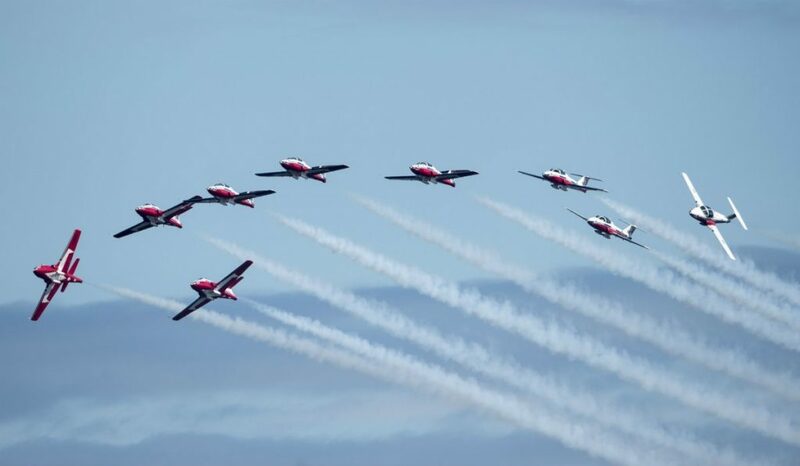 The Canadian Forces Snowbirds are officially known as the 431 Air Demonstration Squadron. Divided into six zones, Aéro Montréal explains an aerospace discovery path will enable visitors to experience several activities related to aerospace. Quizzes and discovery activities related to the design of an aircraft will be featured along the path. Visitors will also be able to meet technicians and pilots to learn more about the many trades and training programs available in aerospace. Finally, a Snowbird cockpit will be on site and accessible to all visitors who want to experience flying in a virtual reality simulation. Created in 2006, Aéro Montréal describes the city as the world’s third aerospace capital with more than 40,000 people working in the sector, which also holds more than 200 companies specializing in aerospace. In Greater Montréal, Aéro Montréal states one worker out of 53 is working in aerospace. The group, through its Horizon 2027 research, projects nearly 30,000 aerospace jobs will be created in the region. Former Snowbirds commander joins the Board of Directors of Discovery Air Inc.